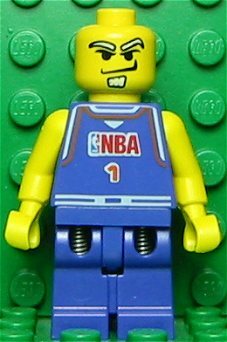 NBA Player 1 is a minifigure from the 2003 Basketball line. Him and four other teammates team up in 3432 NBA Challenge to challenge an opposing team. Facts about "NBA Player 1"